Mojang, The makers of Minecraft have officially unleashed the new version, Minecraft 1.5. It’s the biggest update since the launch of official game. The v1.5 brings reinvented Redstone, Nether Quartz, Animated Textures, Better inventory management, hopers and droppers. It also brings tons of performance improvements and tweaks. Minecraft 1.5 download is now available, if you already have the game, update it using Launcher. Make sure your Minecraft is closed. Go to Minecraft.jar. Go to Run > Type %appdata%/.minecraft/bin and hit enter. Copy your current Minecraft.jar file and back it up on other folder. Move your new Minecraft.jar (that you downloaded) and paste it (overwrite it) over old one inside Bin folder. Please back-up your plugins, mods or even whole Minecraft directory before you update in case of any problem. 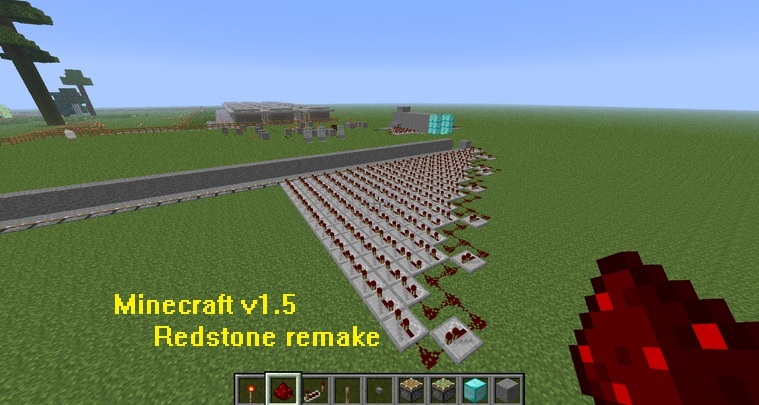 Do you like the Redstone features in this update? Post your comment below!